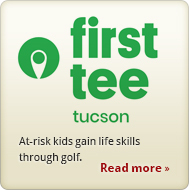 The Tucson Conquistadores Foundation was formed as a tax-exempt organization to receive charitable contributions to support Southern Arizona youth athletic programs. The Foundation’s goal is to build an endowment that will generate a minimum of $1 million per year to support such programs. The advantage of an endowment is that it is perpetual and provides permanent annual support. Your contributions are governed by a conservative investment policy to protect your donation and the endowment. Beneficiaries of grants will continue to be scrutinized so the most needy, most-deserving kids benefit from your contributions. The Foundation accepts gifts of cash, appreciated stock or other assets for the endowment. Gifts of $5,000 or more to the Foundation will provide the donor the opportunity to designate a program for their contributions or for the general endowment for support of all Conquistador programs in Southern Arizona. The specific instructions of the donor will be respected. As they have since 1962, the youth of Southern Arizona are counting on the Conquistadores for support for athletic endeavors. To meet this mission, it is essential that the Foundation be endowed to support future generations of young athletes.